Home NEWS Crop’s (CRXPF) Washington Crop Approved, Open for Business! 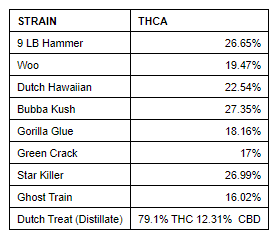 CROP’s Washington Tenant Farm ‘Test Success’ With Nine Strains now Approved for Sale. 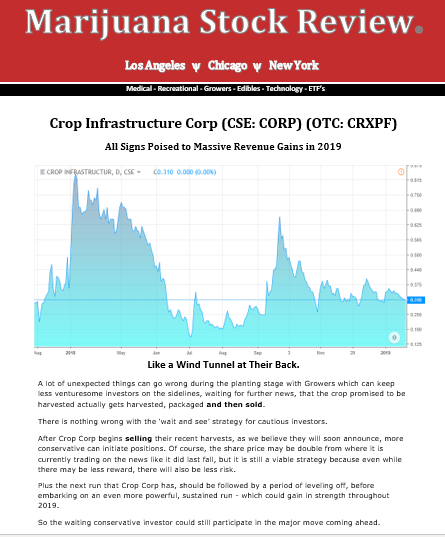 VANCOUVER, British Columbia, Feb. 7, 2019 /PRNewswire/ — Crop Infrastructure Corp. (CSE: CROP) (OTC: CRXPF) (Frankfurt: 2FR) announced today its Washington State tenant’s first crops have had successful test results. Next articleFirst Shipment to $100 Million* Annual Supply Agreement Sent.